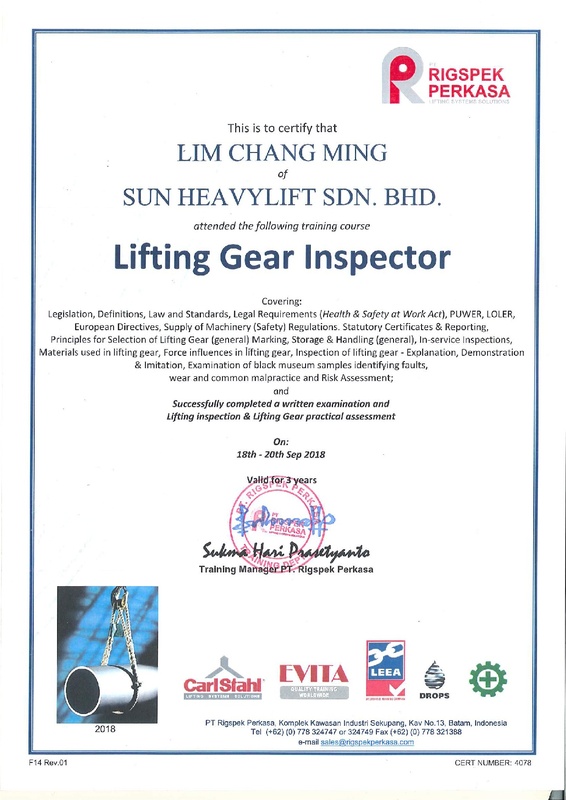 Sun Heavylift workers already attend lifting gear inspection course and also pass the examination. This couse was covering legislation,defination, Law and Standard, Legal Requirement (Health & Safety at Work Act), PUWER, LOLER, European Directives, Supply of Machinery (safety) Regulation.Staturory Certificates & Reporting,etc. The course was organize by RIGSPEK PERKASA at Batam, Indonesia.